We believe that all children should have happy, comfortable childhoods. We aim to help please families in caring for their most valuable assets by providing top quality clothing and products at reasonable prices. Our kid-friendly, attractive products are carefully selected and are durable – withstands the tests of active wear and laundry while maintaining a fresh appealing appearance. 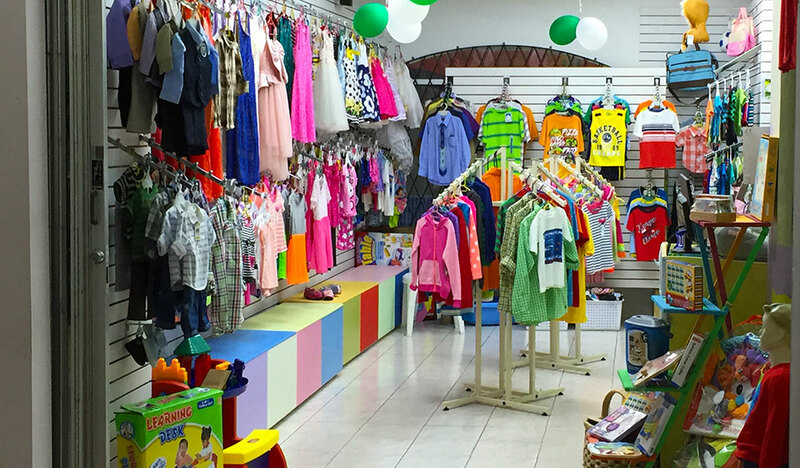 Some of the tested quality brands we carry include Caters, Osh Kosh, Faded Glory and George. Our range of toddler products include onesies, sleepers, dresses, boy’s sets, slacks and shorts, socks, first shoes and booties, sheets, blankets, crib and stroller nets, pacifiers, bottles, health care kits first cups and more. Dr. Brown's Natural Flow® Pink Bottles feature a traditional narrow shape which many moms and dads prefer. Dr. Brown's Natural Flow® Blue Bottles feature a traditional narrow shape which many moms and dads prefer. Dissolves formula quickly with no clumping.